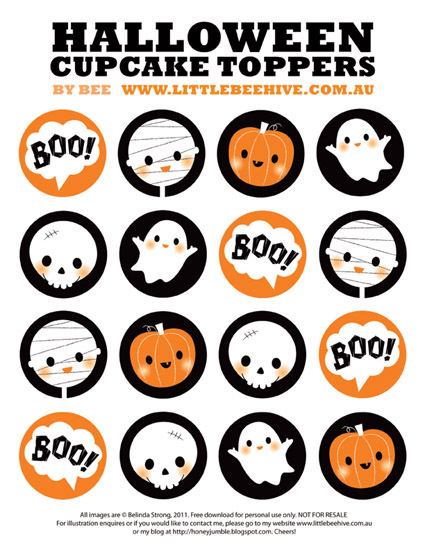 The six lovely ladies of We Love To Illustrate and a guest all created cute Halloween cupcake toppers and all seven designs are available to download for free. With so many different styles to choose from, you are sure to find just the right one for your Halloween party. 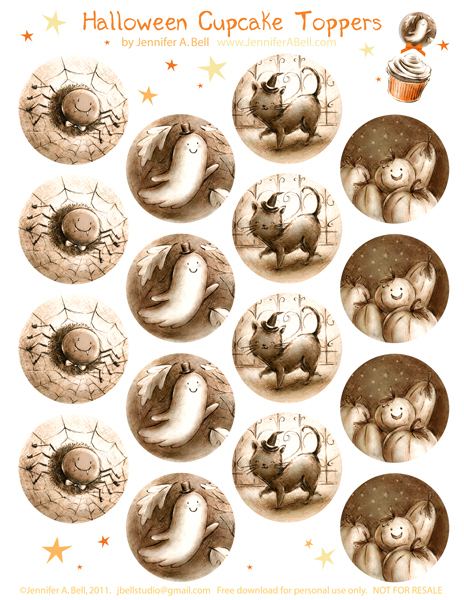 You can check out all seven Halloween cupcake toppers and the rest of their amazing art over at We Love to Illustrate. 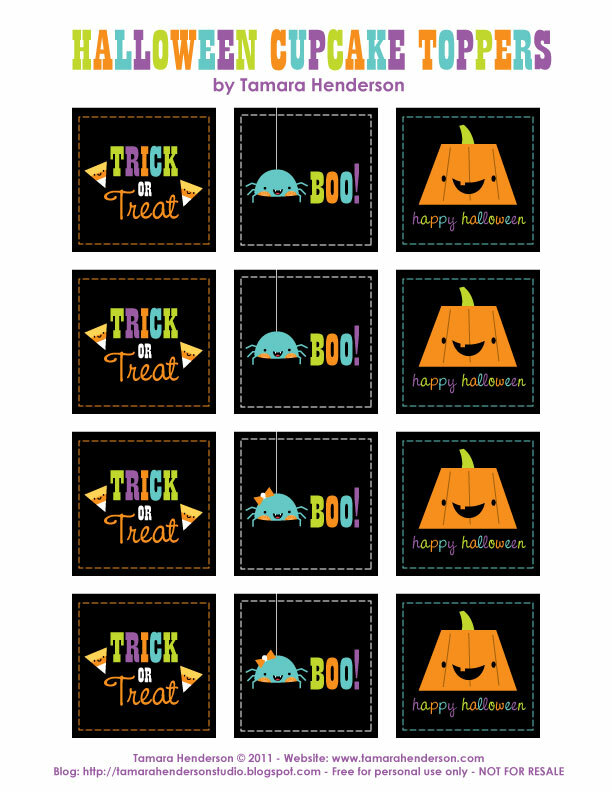 And if you are looking for more fun Halloween printables, make sure to check out Halloween paper dolls, Halloween goody bag printables, and Halloween bottle labels. 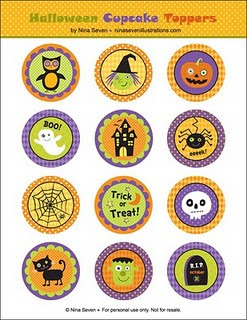 I love the idea of these toppers. 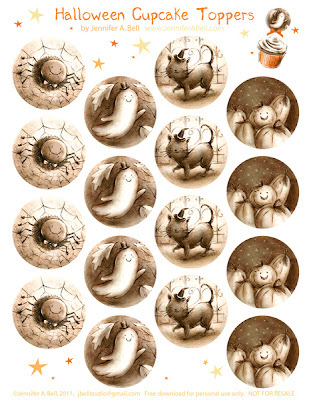 How easy for a cute little treat! Thanks for sharing! The top set... the mummie... ADORABLE!